The education system in Canada has been recognized to encompass both publicly-funded along with private schools. They include community colleges, technical institutes, career colleges, secondary schools, language schools, summer camps along with universities. To be precise, education is a highly provincial responsibility under Canadian constitution. In other words, there are significant differences between education systems of variable provinces. But education is important to Canadians. Standards across the country are uniformly high. Canadian children attend kindergarten for one or two years at the age of five on a voluntary basis. Children begin with Grade One at about six years of age. Normally, school year runs from September to June. But in some instances, January intake dates are possible. Secondary schools go up to grades 11 or 12 on the basis of the province. After completing the same, students attend university, Ce`gep or college studies as per choice. This form of education starts at the age of 6 from the kindergarten. Primary education can be public funded or privately funded. Parents can select their own funding method and best schools for their ward. Children spend almost 2 years in this primary schools or kindergartens. Secondary school is divided into middle and high school though the division is not prominent. Secondary education consisting of middle and high school is from grade 1 to 12. Tertiary education is done by the students after the completion of 12th grade. This can include higher education or vocational education depending upon the interest of the students. World’s several top colleges and Universities are found in Canada that offers tertiary education to its native students as well the international students. Vocational courses have a duration of 2-3 years. Artisan and technical education is provided to the students in the vocational education. For your kind information, Ce`gep is a French acronym for College of General as well as Vocational Education. It generally comprises of two years of general and sometimes three years of technical education between the university and high school. The Quebec province comprises this particular system of education. You may definitely expect to get a high-quality education system in Canada. Even though education institutions are officially not ranked in Canada, but it is possible to find quality institutions across the country. At the time of choosing your desired school in Canada, do not forget to consider the type, size as well as the location of the institution. In case you hold an interest in a particular area of study, better you investigate to find out the schools that offer courses regarding that discipline. Post education in Canada includes vocational college along with community college. Language programs which include French or English are too offered to students. In Canada, provinces are divided into school districts which are known to comprise of school boards. The boards implement policy and curriculum set out by the province. A particular school district usually serves one or more cities on the basis of size. There are some schools that are secular, i.e., comprise of no religious affiliation. Some provinces comprise of separate school boards for religious and non-religious schools. At the post-secondary level, public college and universities demand students to pay tuition fees which are substantially less than that paid in private universities. 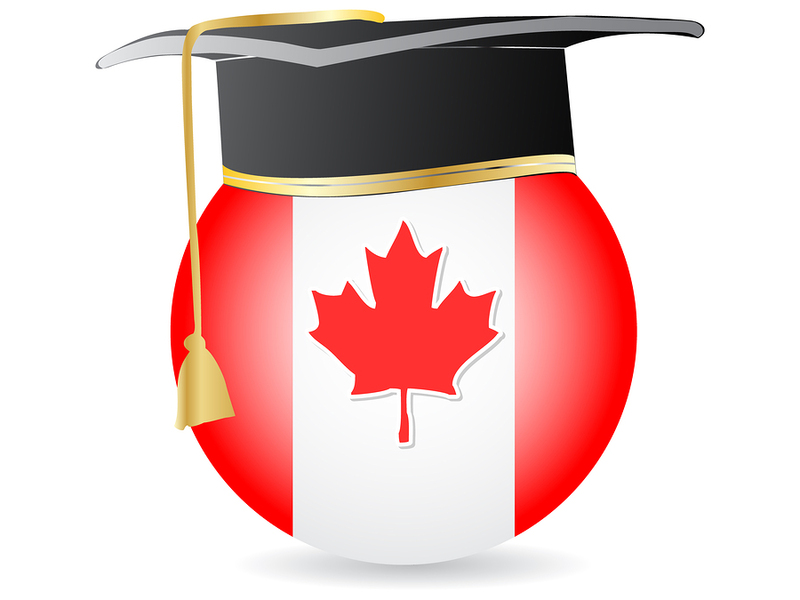 Canada is the top education performers known openly in the world. So, it can be thus concluded, that if you want to get a high-class education and flourish in future with a lucrative career, then Canada is the ideal choice for you. The education system in Canada is highly recommended. Though the education cost in some colleges and universities may bother you, but in that case, you have the option to avail scholarships as well. So, don’t compromise with your dreams. Study in Canada and let your dream come true.